This entry was posted in Uncategorized on May 26, 2014 by snowdropsdingwall. We are are in Forest Hills over looking Loch Ard. It is raining and we can barely see the other side of the loch for mist. It is still breathtakingly beautiful. 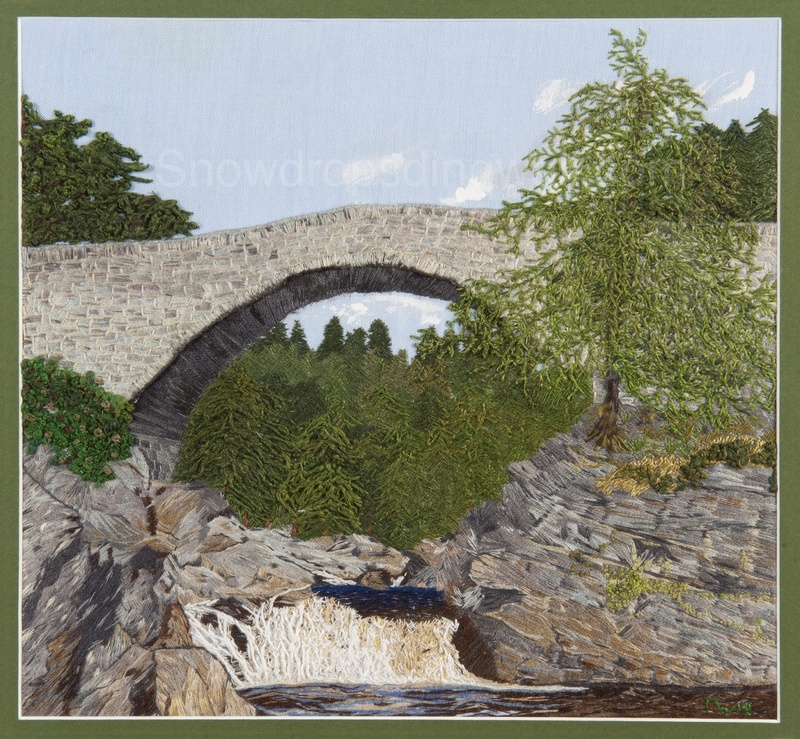 The gardens at Forest Hills provide many images that I would like to capture in embroidery but there are so many beautiful sights in Scotland that it would be impossible to sew them all. Still some of the colour schemes that the gardeners of the past have created to amaze us that I will have to make do with memories. This entry was posted in Uncategorized on May 19, 2014 by snowdropsdingwall. I’ve always wanted to create something that others would value. I’m hoping that my embroideries will be enjoyed by others as much as I have enjoyed designing and making them. Every stitch reminded me of the day I took the original photographs or of when I visited these places as a child and of course I also remembered the friends that were there with me. 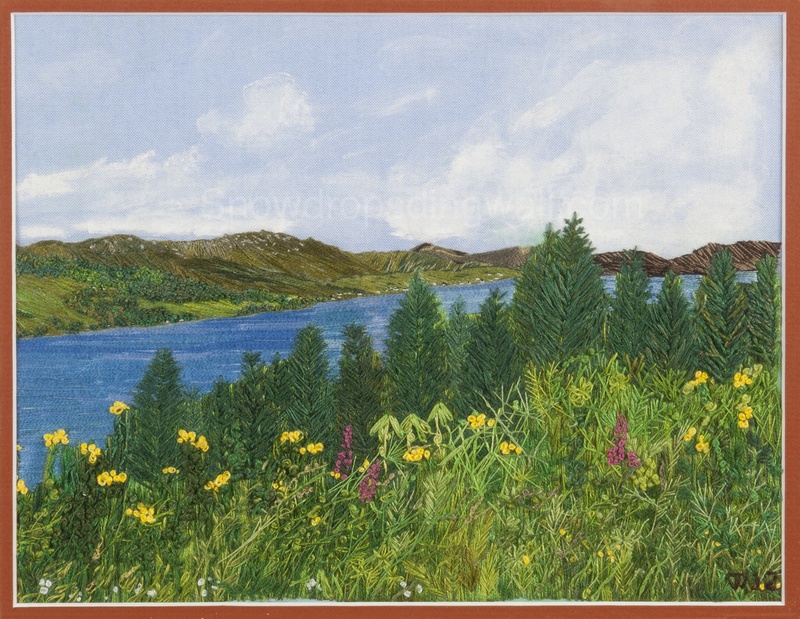 There’s no way that any art form can recreate the beauty of the Scottish Highlands but in sewing these pictures I feel i have a deeper appreciation. Perhaps others will try to sew their own pictures. This entry was posted in Uncategorized on May 4, 2014 by snowdropsdingwall.